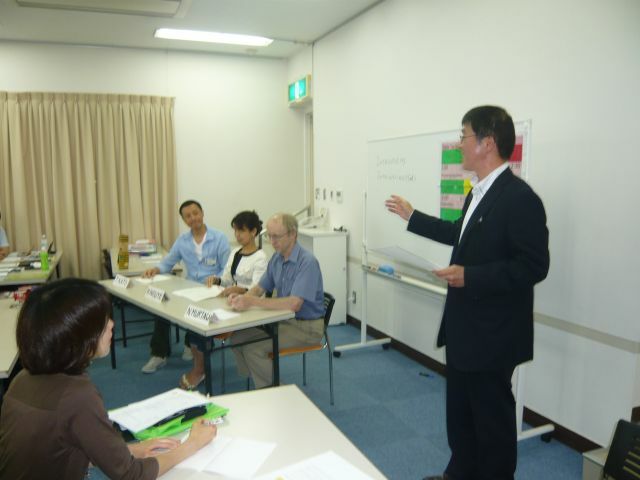 The 534th meeting report was held during Obon holiday. 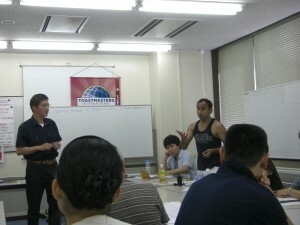 But many members joined the meeting! Today, there was a special speech. 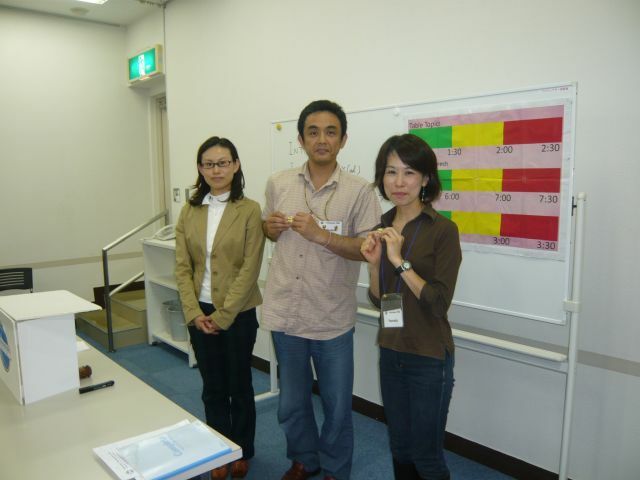 The program title was “Problem-Solving Discussion”. 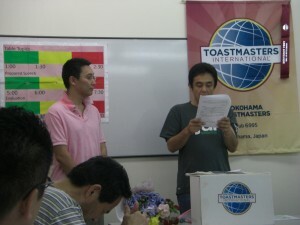 Speech time was 45-50 min! Very Very Long! 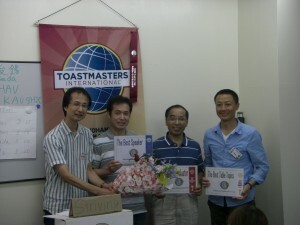 TM Y.K took a facilitator. And the theme of discussion was “Be more attractive TMC”. We discussed how every meeting becomes more active. The discussion was exciting, and there were many ideas to solve this problem. During the discussion, I noticed it is important to contact with inactive members. So, I’ll do that, and I’ll update this website more to inform atmosphere of every meeting to them! The 533 th meeting was adjourned by president message. 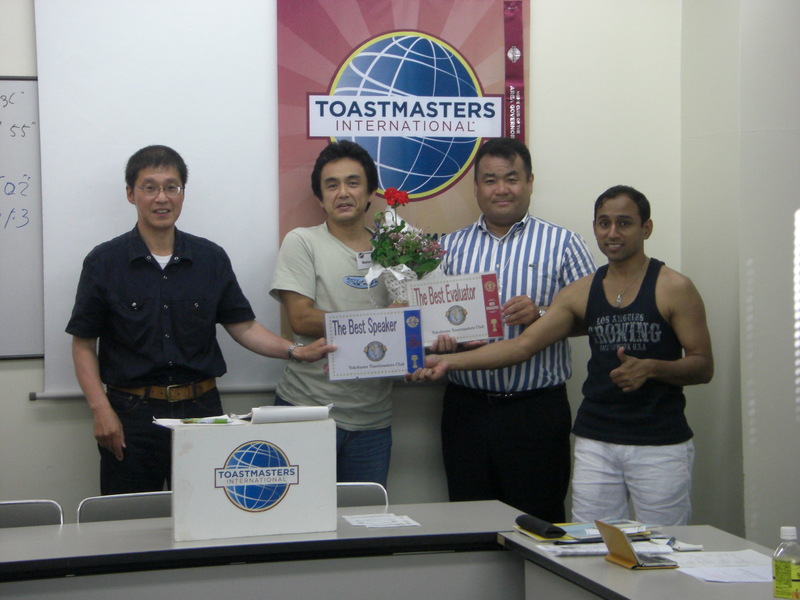 Today there were five prepared speakers. So time table was very tight. But five speeches were very exciting! There were various theme, for example African journey, Love!, Words and so on. In addition, evaluation session was also exciting. All evaluators performed good time management, except for one. This is…. PRESIDENT! It was overrun of only 3 seconds. 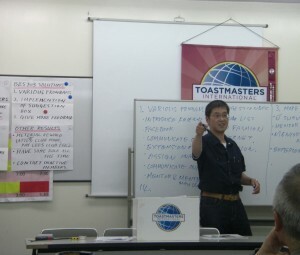 But Toastmasters rule is very severe! It was disqualified even just three seconds. Time management is very important in Toastmasters club. All member’s cooperation leads to close the meeting on time. Let’s try to close the meeting at just 4 PM! Summer has come. It was very hot. But YTMC meeting was hotter than summer! Today, a special guest joined the meeting. Mr. O was former YTMC member. He involved chartering YTMC 24 years ago. He was glad YTMC continue even now. 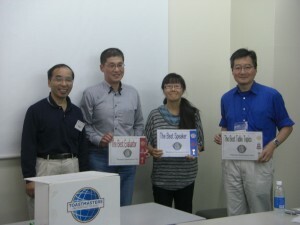 He was assigned Tale topic speaker, and got the best table topic speaker! Great!! After that, we went to Chinese restaurant. YTMC members have used this restaurant since YTMC started. It means 24 years! Wow!! 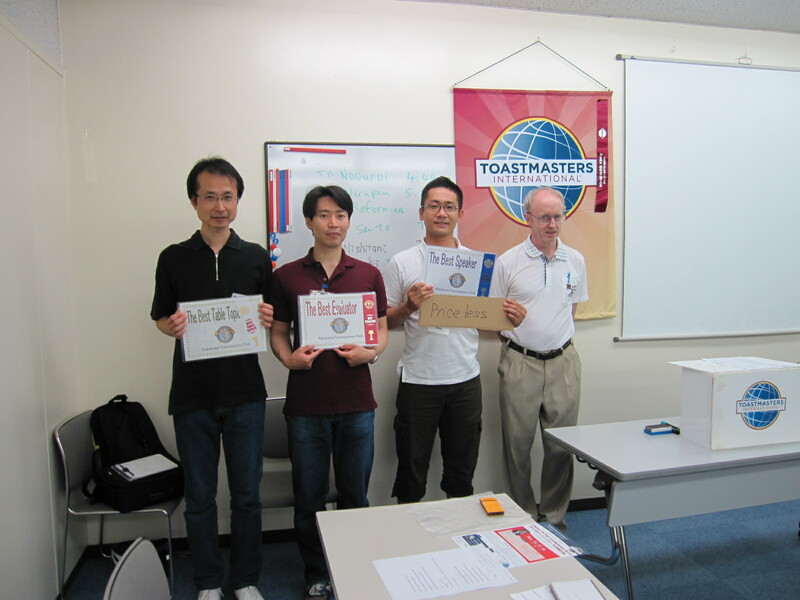 The 531th regular meeting was held in Tanabata. It was the first time since officers changed. 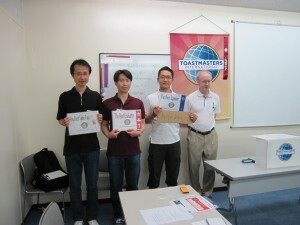 In addition, we had new member’s induction ceremony. Mr. T became a new member. Congratulations! 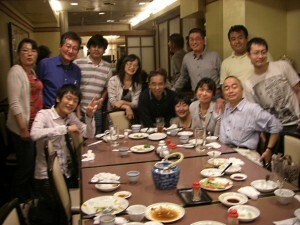 Let’s enjoy every meeting together. TM M.F and TM T.K leave from YTMC. I’ll really miss them. But they got the best prepared speaker and the best table topic speaker. It was Wonderful! They brought their speeches to successful conclusion. After meeting, we enjoyed Karaoke!! TM M.F and TM T.K, please come back anytime! 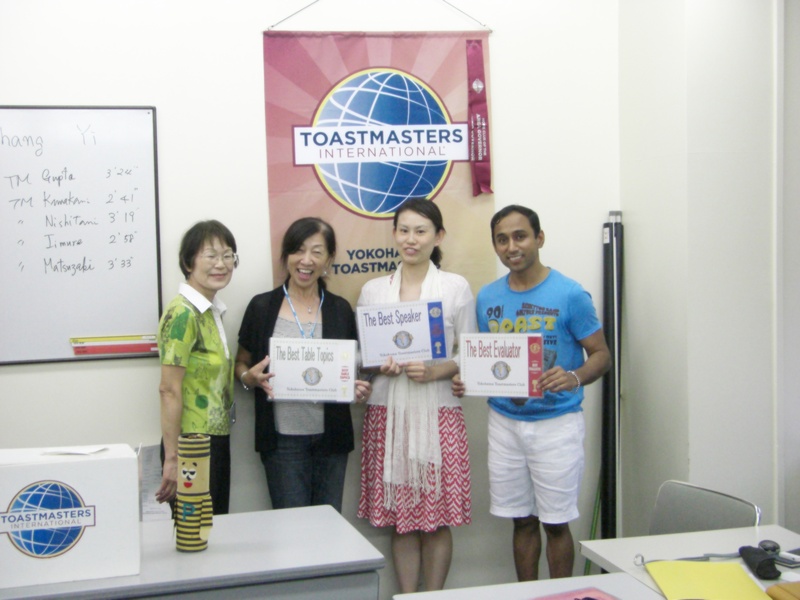 We set up a new website of Yokohama Toastmasters club.